Kanbanize is a Jira alternative that you can’t just pass by. Especially if you are in need of a Kanban project management software solution. See why for yourself. During your Lean/Agile transformation, you inevitably encounter the need to implement a project management tool that would support the cultural shifts you're trying to sustain. If you are reading this, then apparently, Jira didn’t do the job for you. Or maybe it did but you want a more professional Kanban software solution? In any case, Kanbanize is a Jira alternative that you can’t just pass by. Especially if you are in need of a Kanban project management software solution. It is important to clarify that just providing Kanban boards as a feature is not enough to classify a tool as Kanban software. The boards associated with the Kanban method have become part of almost every project management software out there, including Jira. However, although it is a fantastic management solution, in its essence, Jira is not designed to be a Kanban software. To clearly prove that, we will use the Kanban Maturity Model (KMM) as a basis for comparison. If this is the first time you are hearing about the KMM, you must know that it consists of 7 organizational maturity levels that break down the 6 core practices of the Kanban method into 132 sub-practices depending on the level of experience with the method. The table above, shows the gap between Jira and Kanbanize. Just a glance at the number of Kanban practices covered by both products is enough to understand that Jira is just scratching the surface of the Kanban method and can facilitate only a shallow implementation. The next table is a very clear proof why Kanbanize is the best Jira alternative if you seek a tool supporting mature Kanban implementation. As you can see, there’s a lot more to workflow visualization than setting up a few columns on your Kanban board and starting to move cards. Considering everything from the table above, if you decide to choose Kanbanize as the best Jira alternative, you will be able to visualize blocked items, which is among the most useful things in Kanban that allows you to quickly solve problems when they arise. Also, you will be able to put constant light on process policies by visualizing them directly on your board, and indicate that your team needs to replenish the number of assignments that await to be started. Going over the most fundamental functionalities, it is important to point out that with Kanbanize you can visualize aging work items that have been in progress for a while and take action to prevent a potentially harmful situation for your company. Limiting work in progress is vital for keeping your team focused and delivering value in the shortest amount of time to your customers. Although Jira covers a few of the ways, it lacks capability regarding limiting WIP on a personal level, and process levels. Nonetheless, the system doesn’t allow you to set unbreakable limits, which can lead to frequent process inefficiency. When it comes to flow management, Kanbanize clearly is a better Jira alternative regarding Kanban, because it allows you to manage blockers, in addition to visualizing them. Nonetheless, you can measure and report the flow efficiency of your process, which is among the most important metrics in Kanban. Using Monte Carlo simulations, you can forecast future performance based on historical data and commit to deadlines with more confidence. Process policies are like playbooks in professional sports. You define them to keep your team aware of how to act in certain situations. The more explicit you make them, the less chance for mistakes and process inefficiencies. Focusing on the tool agnostic part of maintaining feedback loops, once again, Kanbanize proves to be a better Jira alternative. *Push notifications are available in Jira only when locally hosted. Maintaining feedback loops is more of cultural than a technical thing. Essentially, the board itself is a feedback loop as it shows what everybody is working on and how far along they are. Regarding additional functionalities, both platforms are pretty equal in this aspect. Still, Kanbanize has the upper hand with the ability to send display push notifications to your team when something that concerns them occurs. Continuous improvement is a mixture of mindset, company culture and using data to identify room for advancement. Management tools can be of great help because they come with workflow analytics that measure your performance. Once again, Kanbanize proves to be a better Jira alternative regarding Kanban. Both software solutions are equipped with very powerful analytics modules but the one in Jira is more suited for Scrum implementation rather than Kanban. It provides data more relevant to running sprints than relying on continuous flow. Out of every comparison so far, there are a few fundamental strengths of Kanbanize regarding Kanban, which deserve special attention. Your process policies are your workflow’s law. You establish them to work in the most efficient way possible and visualize them on your project boards so your team can see them all the time. In Kanban, policies can be placed anywhere on the board. The goal is to make it explicitly clear what’s expected to happen at any stage of your workflow. Jira’s version of the Kanban board is rather limiting. You can create as many columns as you need, but when it comes to swimlanes, your hands are pretty much tied. The system allows you to create swimlanes based only on preset criteria such as assignees, projects, and a handful of other options. Kanbanize is a Jira alternative to consider if you want flexibility and simplicity. You can design your boards the way you want them. Adding as many swimlanes as you need is just the top of the iceberg. In addition, you can merge both columns and swimlanes to create a layout that perfectly fits your needs. On top of that, this is done with just a few clicks thanks to the flexible workflow designer inside. Visualizing blocked items is a basic feature of every Kanban software, which once again brings up the point that Jira is not one. The alternative that Kanbanize provides allows you to visualize blockers with a variety of customizable avatars and create as many block reasons as you need. Afterward, you can use methods such as blocker clustering to identify frequently occurring problems and analyze how they damage your process. Another serious advantage that Kanbanize has is an automation engine. It allows you to automate large parts of your process with the help of business rules. Basically, you set up hooks that trigger actions when certain events occur. When managing a project portfolio, you need to have absolute transparency and simple visualization of all the dependencies between assignments that comprise it. Although both platforms are equipped with features for this purpose, Kanbanize is a better alternative to Jira. 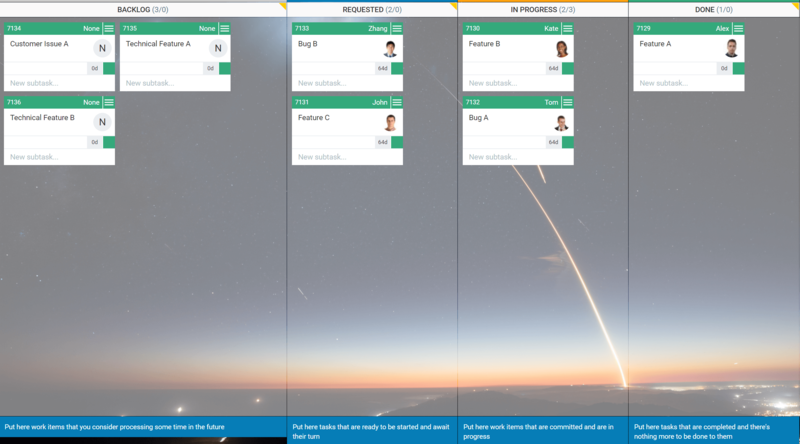 With Kanbanize, you can enjoy a user-friendly visualization for business teams, not only for dev teams. Everyone can collaborate in Kanbanize. With their help, you can break down large initiatives and connect the different aspects that comprise them. Even better, you can specify the order of processing and improve the execution handling. If what you’ve read so far has convinced you to choose Kanbanize as an alternative to Jira, we encourage you to check out our product knowledge base. There you will find an extensive archive of feature tutorials and explanations. In case you are currently using Jira and are wondering how to make the transition, rest assured transitioning is not difficult. Unfortunately, when you decide to switch, there’s a bit of manual work waiting for you. Currently, Jira has very limited capability related to exporting data from its system. The good news is that in the next couple of months we will be releasing a brand new integration that will allow you to create bidirectional sync between Jira and Kanbanize. With its help, you will be able to transfer data between the systems. In the meantime, to remap your process from Jira in Kanbanize, you need to create your account and replicate your projects and boards. There’s an extensive onboarding process, which will help get acquainted with the platform and answer some of the most frequently asked questions that may arise in the process. Afterward, you can recreate your familiar workspace and continue with your duties. In addition, our team is always ready to assist so just drop us a message, and we will contact you shortly. Although it is a fantastic management solution, in its essence, Jira is not designed to be a Kanban software. If you are looking for an alternative to help you implement the Kanban method to its full extent, Kanbanize might be just the right fit. Try it out for free and feel the difference.